To claim this profile, please confirm you are Marcus Bagley. To follow this profile, please let us know your relationship to Marcus Bagley. 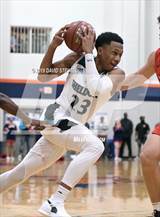 Marcus was tagged in the article "2018-19 MaxPreps Boys Basketball Junior All-American Team." 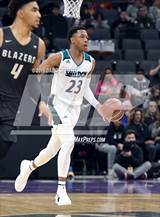 Marcus was tagged in the article "MaxPreps 2018-19 California Boys Basketball All-State Teams." Marcus was tagged in the article "Protecting the Game: Will leaving home be the new norm for elite high school basketball prospects?." 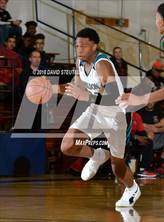 Marcus had 16 photos tagged from the game against Sierra Canyon. 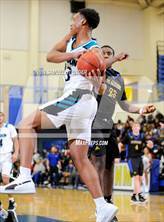 Marcus was tagged in the video "Sierra Canyon versus Sheldon - 2019 CIF Open Highlights." Marcus was tagged in the article "Sierra Canyon sweeps CIF boys and girls basketball championships." The sixth-ranked boys go wire-to-wire to beat hometown Sheldon for the second straight year; Sierra Canyon girls dominate Pinewood en route to fourth state crown. RESULTLoss Boys varsity basketball vs. Sierra Canyon. 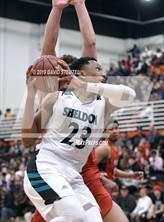 The Sheldon varsity basketball team lost Saturday's neutral playoff game against Sierra Canyon (Chatsworth, CA) by a score of 76-52. This game is part of the "2019 CIF State Boys Basketball Championships - Open Division " tournament. 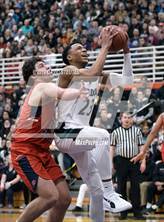 Marcus had 23 photos tagged from the game against Modesto Christian. Marcus' basketball stats have been updated for the win vs. Modesto Christian. RESULTWin Boys varsity basketball vs. Modesto Christian. The Sheldon varsity basketball team won Tuesday's home playoff game against Modesto Christian (Modesto, CA) by a score of 58-48. Marcus' basketball stats have been updated for the win vs. De La Salle. RESULTWin Boys varsity basketball vs. De La Salle. 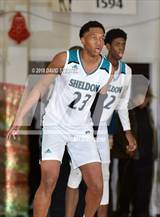 The Sheldon varsity basketball team won Saturday's home playoff game against De La Salle (Concord, CA) by a score of 60-53. Marcus had 18 photos tagged from the game against Modesto Christian. The Sheldon varsity basketball team won Saturday's neutral playoff game against Modesto Christian (Modesto, CA) by a score of 64-61. This game is part of the "2019 CIF Sac-Joaquin Section Boys Championship Playoff Brackets - Division I" tournament. 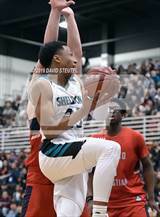 The Sheldon varsity basketball team won Wednesday's neutral playoff game against Oak Ridge (El Dorado Hills, CA) by a score of 64-54. RESULTWin Boys varsity basketball vs. Davis. 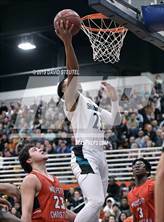 The Sheldon varsity basketball team won Friday's neutral playoff game against Davis (CA) by a score of 79-57. RESULTWin Boys varsity basketball vs. Modesto. The Sheldon varsity basketball team won Wednesday's home playoff game against Modesto (CA) by a score of 69-50. Marcus' basketball stats have been updated for the win vs. Elk Grove. RESULTWin Boys varsity basketball vs. Elk Grove. The Sheldon varsity basketball team won Friday's home conference game against Elk Grove (CA) by a score of 68-58.